5/pkg. 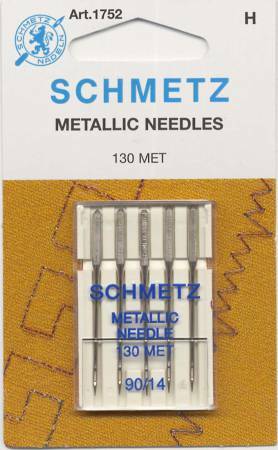 The special construction provides trouble-free sewing with metallic threads. A large eye accommodates heavier threads making threading easier. A large groove prevents shredding of the delicate threads during stitch formation.